Testosterone BoostersHi Tec ZMA - 120 kaps. 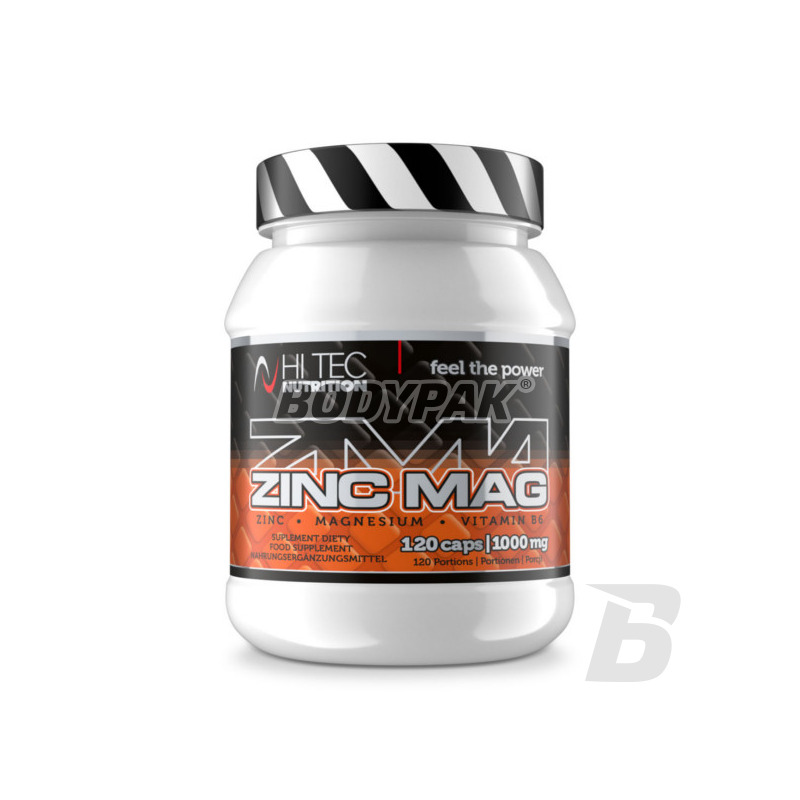 Hi Tec ZMA is a composition of zinc and magnesium, which intensively stimulates the body's synthesis of anabolic hormones. The product significantly enhances muscle protein anabolism and fat reduction. The high content of vitamin B6 greatly enhances the absorption of zinc and magnesium, and their use by the body. Healthy sleep is the basis of full recovery of muscle - ZMA will improve your sleep and additionally stimulate anabolic hormones in the body!